In the 1940s, scientists concerned that the world was headed for nuclear holocaust unveiled a clever graphic called the Doomsday Clock. Given the recent news that Asian carp DNA has been found in Lake Erie — and that the invaders could live in all five Great Lakes — I believe it’s time for a new tool to convey the severity of this catastrophic threat to the world’s largest freshwater ecosystem. 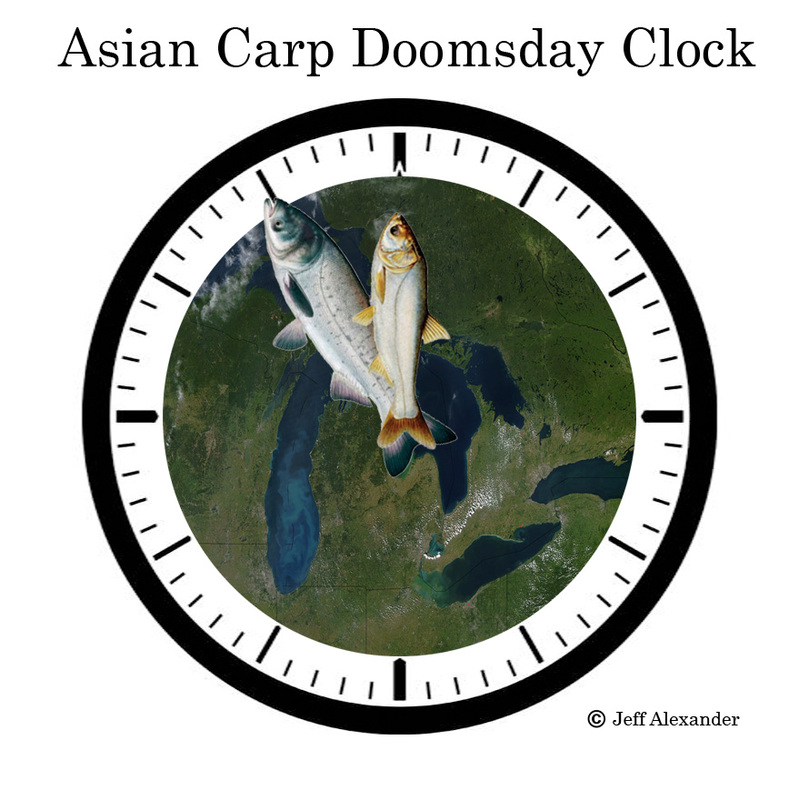 Behold, the Asian Carp Doomsday Clock. Using the latest scientific information, I will use this clock to relate the risk of Asian carp colonizing the Great Lakes. (My daughter, Jessica, gets the credit for designing the clock).